My top 5 monthly picks for June! This is the first post in my new series – My top 5 monthly picks. I have comprised a list of all sorts of products and places for June. These products are the ones that you need to keep your eye on throughout this month! As you may have seen I wrote up a review about Pensthorpe natural Park in Fakenham at the beginning on June – (Review here) We visited and loved it, if it is a good weather day then Pensthorpe is a brilliant day out for the whole family. I saw this in the Burnham Market Joules store and just had to have it for Baby Fisher. It is the Joules edition of the Cheeky Chompers Comfortchew. The pattern is gorgeous and I was looking for something extra for our new pram and this is perfect! It can also attach on to a car seat and is 4 favourite essentials in 1 – Comforter, Teether, Teddy and Taggy. Ninni make personalised natural skin care. I have been testing out the MyNight3 moisturiser with Lavender and Chamomile, my skin type is oily so this is perfect as it is customised for my skin and can help keep oil at bay. As it is a night cream it does it’s magic while you sleep! Aden + Anais have partnered with Disney baby to create these gorgeous baby products. I have the 100% cotton 120 x 120cm Bambi swaddle Muslims. 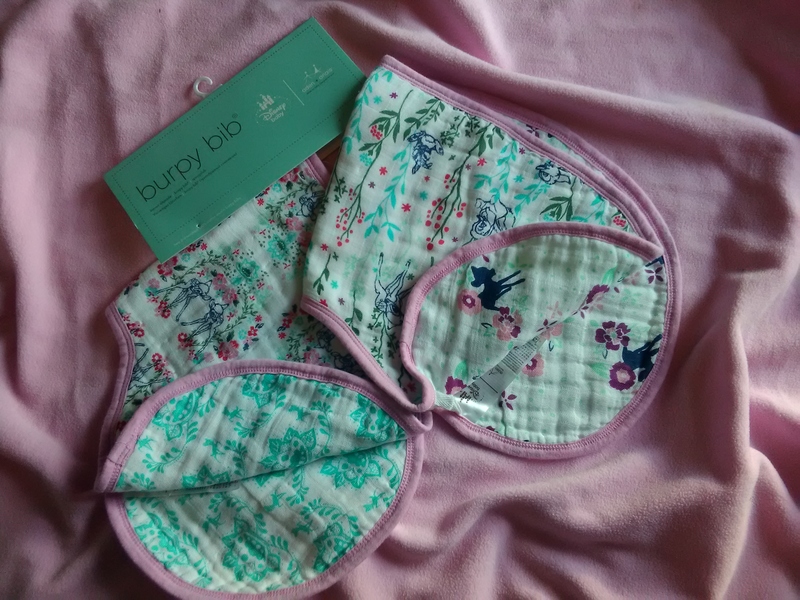 They come in a pack of 4 and can be used for many different things; A swaddle, a pram cover, breastfeeding cover, burp cloth, changing mat cover and tummy time blanket. They are practical and beautiful. 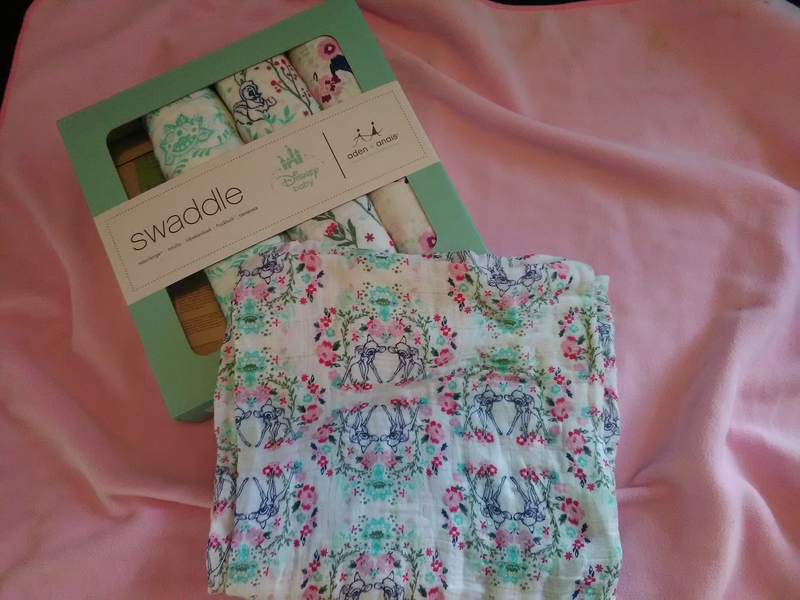 Like the swaddle muslins these are also beautiful! They are 100% cotton muslin 2 in 1 over the shoulder burp cloths and bibs in the Bambi pattern. They come in a pack of 2 and are a great size! A full review on Aden + Anais coming soon so watch this space!